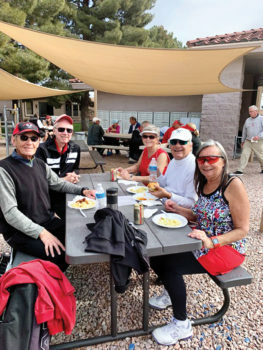 On January 5, we hosted the Sun Lakes Tennis Club at SunBird. It was a very close match, but we prevailed, winning 15-13. Big thank you to Barb Wallace and Pam Tiffany for coordinating the luncheon for this event. The sloppy Joes were a big hit! And kudos to Dianna Wreford and Brian Turner for scheduling the matches and to all the volunteers who helped make this yet another successful event. Our next tournament is on January 26, SunBird vs. Springfield/Sun Lakes at Springfield. Dianna will be posting a sign-up sheet on the tennis board for this event, or you may email her if you wish to play. Please check the court reservation sheets for current times. 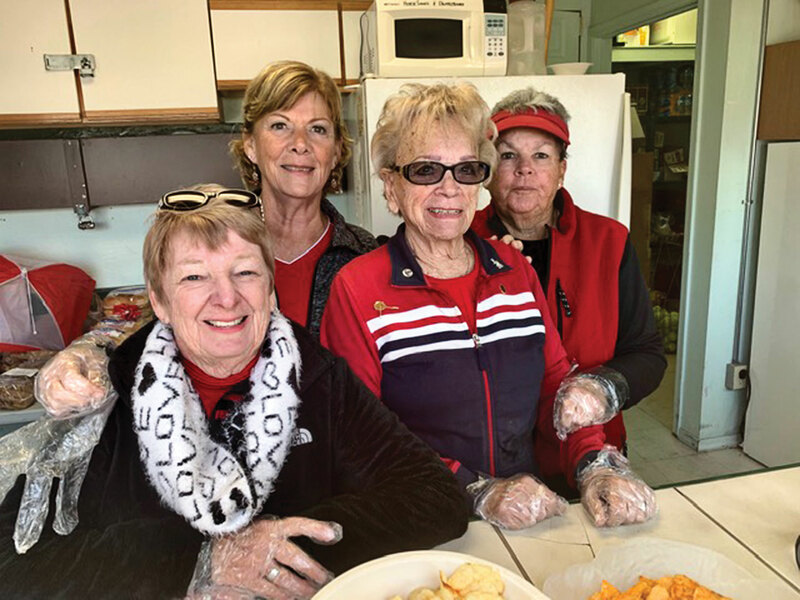 If you would like to become a member of the SunBird Tennis Club and are a permanent or seasonal resident of SunBird, please call our President, Christine Terechenok, at 480-895-6734 to apply for membership. All levels of play are welcome. Please join us! Annual Membership dues are $35 for active members and $15 for associate members (those who enjoy the social aspect of our Tennis Club but do not play the sport). Only here for one to two months? You can join us on the courts for just $10/month while you are residing in SunBird! Tennis. It’s all about the LOVE! Let’s play!